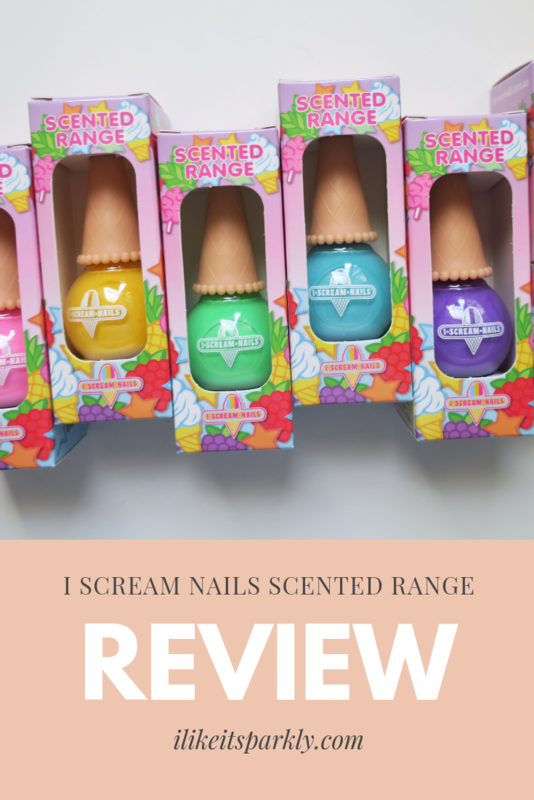 Today I am talking about the entire I Scream Nails Scented Range, this started as me buying maybe one or two, then turned into having all of them in my cart except for one so at that point, I threw in the last one so that I could give you guys a full review. I also love this brand, formula and the idea of scented polish so I was excited to get to try these out. First I want to talk a little bit about the packaging and such before I start breaking down each polish. I love the packaging of these polishes, they look like ice cream cones and that is super adorable if you ask me, I also think that the box for the scented range is really cute and really fun, it’s very on brand and makes complete sense with the product. These polishes retail for $12.50 each, but I find that they have sales pretty frequently that help cut the cost, which I think there was a sale going on when I purchased these, which I am thankful for. So, now let’s get in and talk about each polish. 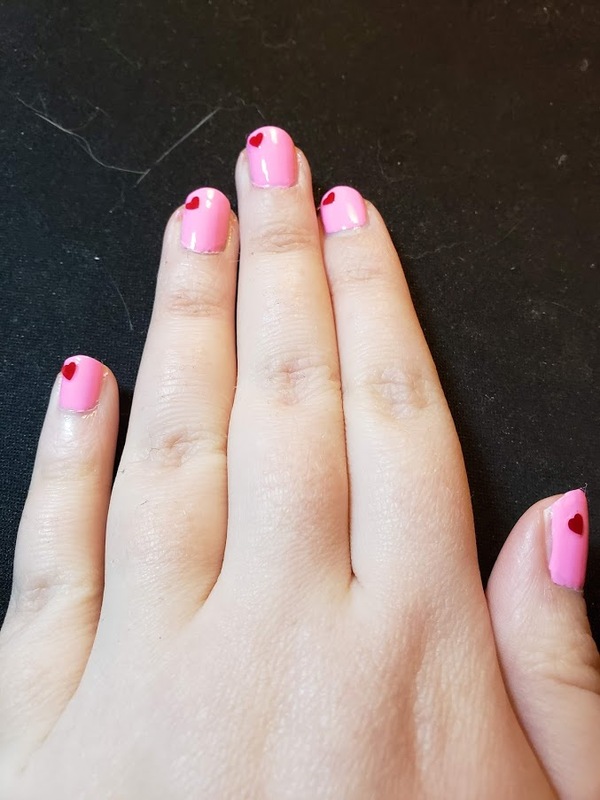 Yes, these were my Valentine’s Day nails, that is how long I have been working on this and how much I have been putting this one off. So, we are starting with Cotton Candyland, which as you can probably guess, smells like cotton candy. I loved the way that this one smelled, the scent was on the lighter side of things but it smelled exactly like I wanted it to, like a sweet day at Disney World. 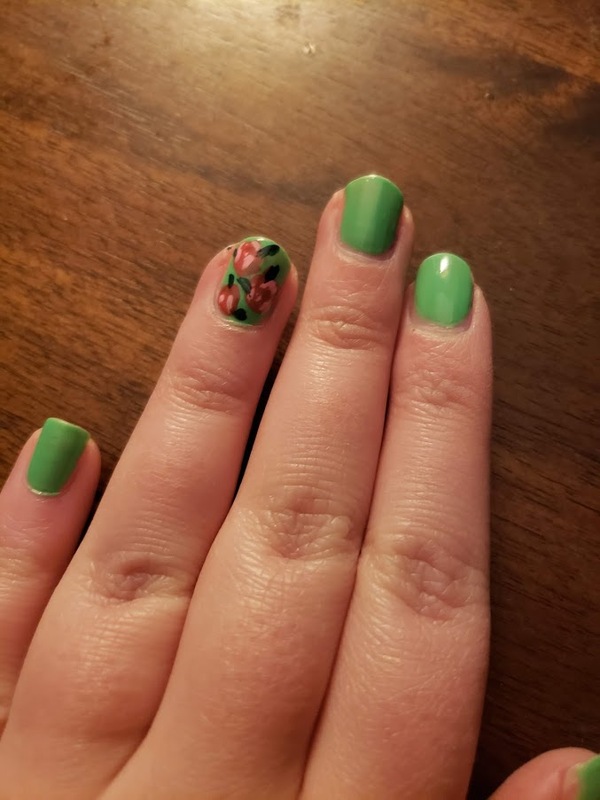 As for the formula, this didn’t have my favorite formula but it wasn’t terrible either, I think it looks pretty good I just don’t think it went on as smoothly as it could have. 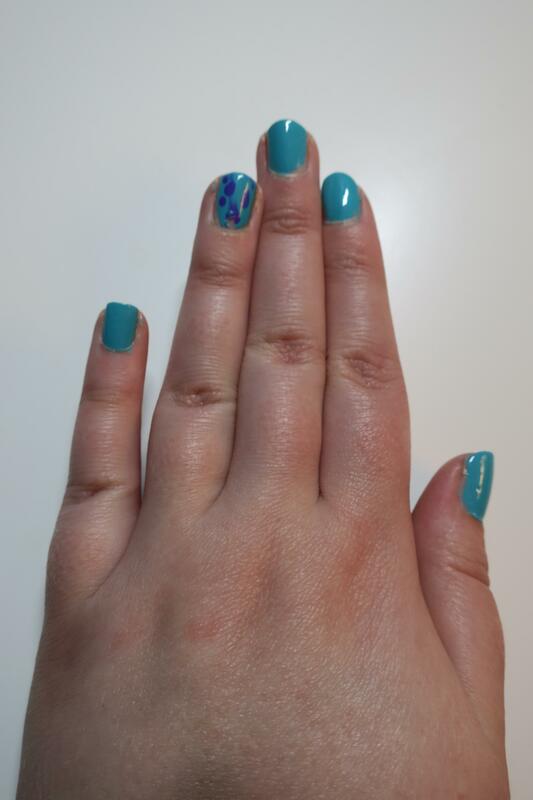 It did last really well on the nails though, like impressively long without chipping and that is something that I am happy about and willing to work with a little bit to get. This next one is a combination one so I will be talking about two nail polishes, which I hope is fine because these two look like they were made for each other. The two that I will be talking about are Tropical Overload, which is yellow, and Give Me Tingles, which is the glitter top coat. 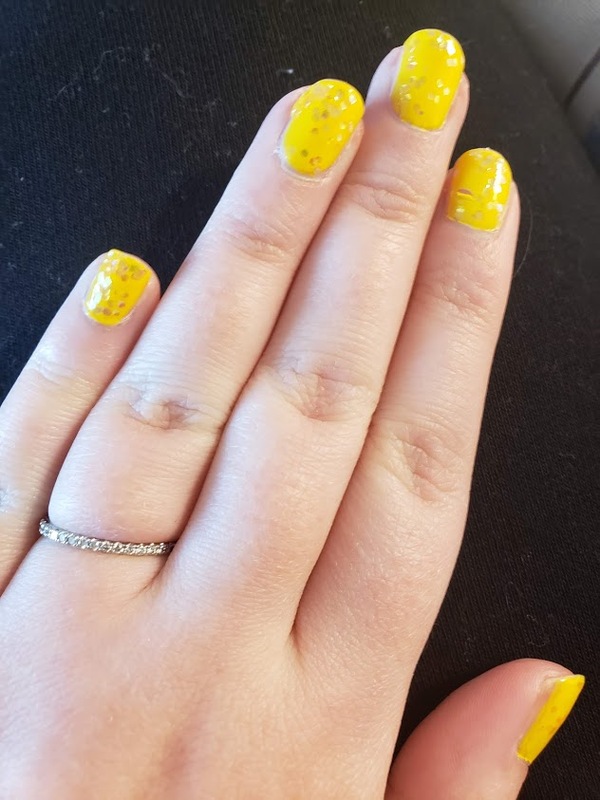 Topical overload is such a fun and bright yellow creme polish that I think will look amazing all summer long, it’s the perfect bright yellow shade if you ask me. As for the scent, I am not the biggest fan of the scent personally but I do think it smells exactly like pineapple, so they are spot on with this one. As for Give Me Tingles, this one is a sheer glitter top coat, this is a beautiful iridescent glitter that has a little bit of a pink and green shift to it, which I really like. I did smell this on its own once and it has the scent of fruity tingles, which I have no idea what is so I’m just guessing a generically sweet fruit scent, or at least that is what I got out of it. These two also wore really well together, they lasted a really great amount of time without chipping and together they smelled like fruit loops, which makes me want to wear this combo again. What happened here with the design was that I wanted Scully themed nails but I didn’t wait long enough to apply a top coat so it smeared. But this one is all about the blue, so I guess it doesn’t matter too much. This blue shade is called Bubble Trouble and is supposed to smell like bubble gum, which this is the only one that I think missed it’s mark, it doesn’t smell like bubble gum to me and just smells a little bit strange, so it’s safe to say I am not the biggest fan of this scent. This formula was really good though, it was a little bit on the sheerer side of things but it was very easy to layer up and get to full opacity, and like all of the others in this review, it lasted really well on the nails before it started chipping. Now let’s move onto purple, which is in the shade Badass Berry, and honestly I kind of love that name. This is a shade of purple that I did not have in my hoard of nail polish so I am super happy to have picked this one up. This one is supposed to smell like berries and I think it does, while it does smell the tiniest bit off I also think it smells like berries and even has that slightly sour scent to it, which I am super into. This one went on really easily and I think that this one is the one that looks best on the nails, it just looks smooth and nice. 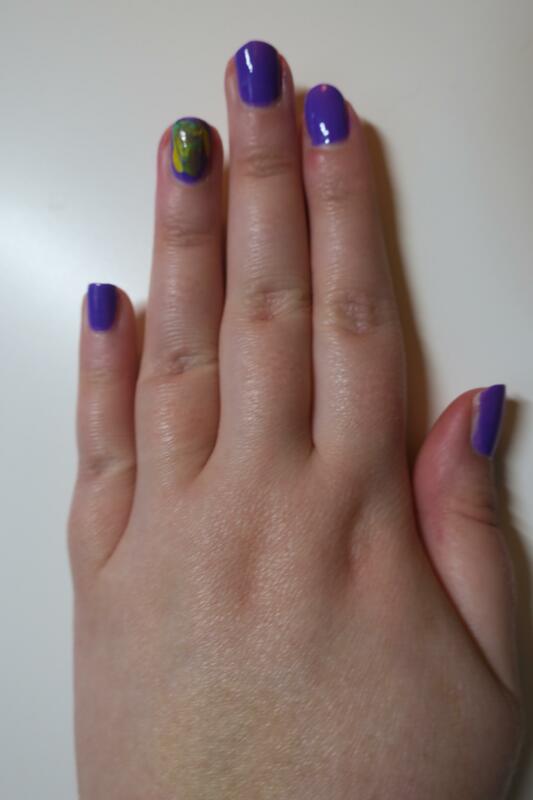 And as the theme will continue, this lasted really well on the nails before it started to chip. And up last is the nail polish that I added in last minute, because if I already had all of the other colors then it just made sense to pick this one up too, right? That’s what I think. I just wasn’t all about this one because mint scented doesn’t sound great to me and I already have a color or two that look a lot like this one. This is the shade Fresh to Death, which does smell like mint, and personally, I hated it. Something about mint smell constantly on my fingers was not one that I enjoyed. As for the formula, the formula of this polish is pretty fantastic, it goes on really smoothly and looks great on the nails. To continue the theme, this polish does hang around really nicely on the nails. So, overall the thing that these polishes have in common is the fact that they all last really well on the nails before they start chipping, which partly may come from my base and top coat combo but is for sure partly to do with the polishes because they lasted better than a lot of other polishes I have. Also, I talked about the scents, but the scents are something that I found to linger around for about a day before finally going away, so the collection is more of a novelty kind of thing, but I was excited about it and I can still see myself using these polishes again as the colors are very pretty. So I’m really happy with my purchase, but if you already have shades that look like these then I might skip over these if the only things you are looking forward to is the scent. Have you ever tried this brand before?